Kill the lights on this one. This film is dark, dark, dark. I must have seen “Escape from Alcatraz” a hundred times over the years in standard-definition, and each time it seemed the quality got progressively worse. But it is just one of those films that I can’t turn off, even with commercial interruptions. 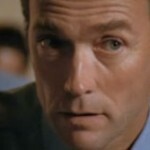 I caught “Escape from Alcatraz” on HDNet July 19th as part of their Retro/Spotlight series. Currently HDNet is the only network broadcasting the film in HD, and I must say the high-definition conversion of this film is fantastic. The usual pixelated dark scenes, which probably represent 75% of the film, are still dark but take on a nice quality reminiscent of an old grainy photograph. The film takes on new life from the start. Not only is it sharp, it is presented in its native theatrical widescreen format. The movie begins with some abstract shots of Clint Eastwood (as prisoner Frank Morris) being transferred to the high-security prison known as “Alactraz.” It is a rainy night and the camera lens goes in and out of focus, giving the introduction an abstract and eery quality. The digital HD broadcast doesn’t exactly have a wide contrast ratio. In fact, the film never seems to ever reach complete black (certainly not Kuro black). But given the original lighting I can’t imagine the scenes having much more contrast, unless it was converted to black and white. There is grain, and plenty of it. But the grain is cleaned up and consistent. And, while previous 480i and 480p broadcasts of the film were hardly watchable, this 1080i version gives you plenty of detail. 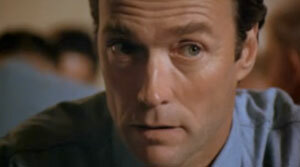 “Escape from Alcatraz” is one classic film that is given new life in hi-def. While more recent blockbusters can really showcase the potential of HDTVs and Blu-ray Disc, older movies which were originally filmed in widescreen but for years cropped, squashed and squeezed into 4:3 enjoy a sort of reincarnation in hi-def. 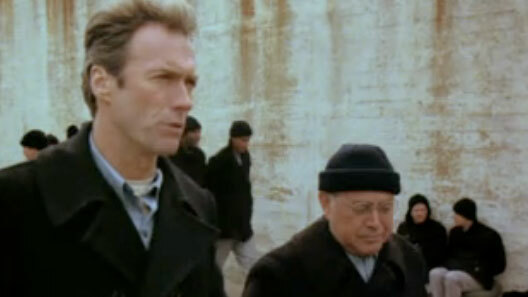 HDNet will be broadcasting “Escape from Alcatraz” again on July 31st, at 12:35 PM Eastern / 9:35 AM Pacific. Set your DVRs because this one is not yet available on Blu-ray Disc, although Amazon has it on demand .